Travel in Brazil: FLORIANÓPOLIS (02) German and Dutch Elements? 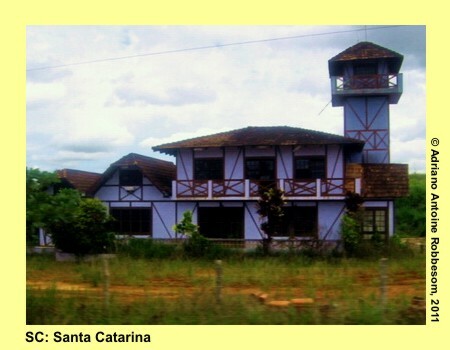 In Santa Catarina, landscapes and buildings strongly resemble to the counterparts in German and The Netherlands. We entered the state of Santa Catarina. It was my first visit to this state. 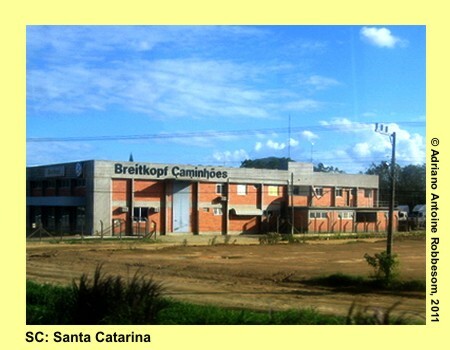 After having visited São Paulo, Minas Gerais, Bahia, Sergipe, Alagoas, Pernambuco, Paraná, Espírito Santo and Rio de Janeiro successively, Santa Catarina became state number 10 for me. 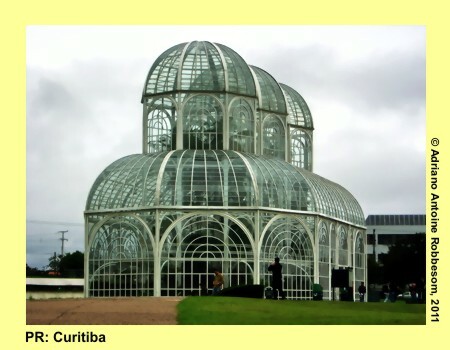 The majority of the students in our bus generally had visited only four or five states, and a very few even never had left their home state Minas Gerais. Bear in mind that Minas is a giant state: its size equals to that of France and Switzerland together. 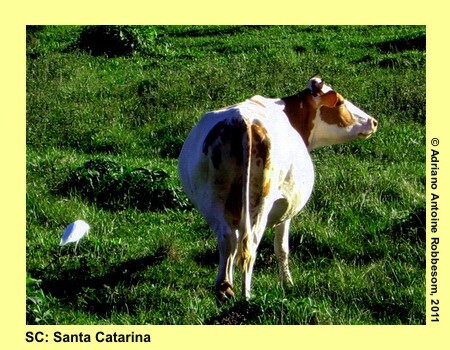 My first impression of Santa Catarina was, that the landscape was very green, and much flatter than I have seen in Minas and its surrounding states. The highway through Paraná was sometimes of a bad quality, but the highway in Santa Catarina was almost similar to an average European highway: without bumps and holes. One might get the impression that we had entered a rich state. 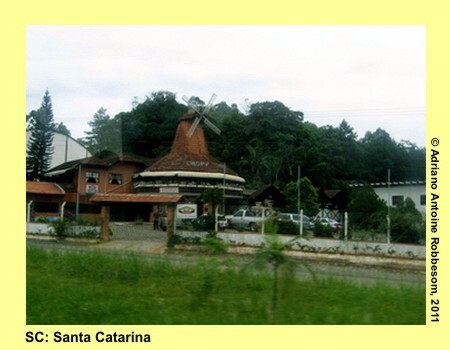 In fact, that is true: compared to other Brazilian states, Santa Catarina is rich. 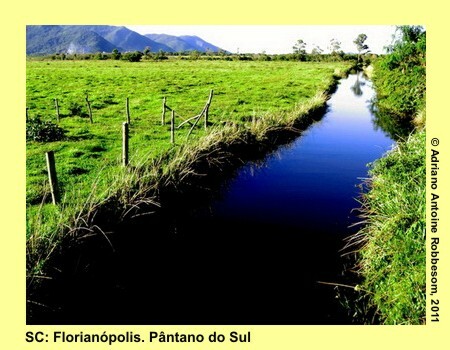 The standard of living in the southern states (Rio Grande do Sul, Santa Catarina, and Paraná) is already higher than the states in the Southeast (São Paulo, Rio de Janeiro, Minas Gerais, and Espírito Santo); let alone all other states, except the Federal District, where Brasília, the capital of Brazil, is located. The more southward you travel in Southern America, the colder it may become. This may be the reason that many Brazilians are fond of the luxury live in the south of Brazil, but they also hate the sometimes ‘very cold’ climate. In summer, the maximum temperature easily may reach tropical values, with a lot of rain. But the winter…. Then the maximum temperature will not even reach twenty degrees centigrade. The nights may be freezing cold, at some days one may observe a white blanket of frost at dawn, instead of the normally green landscape. 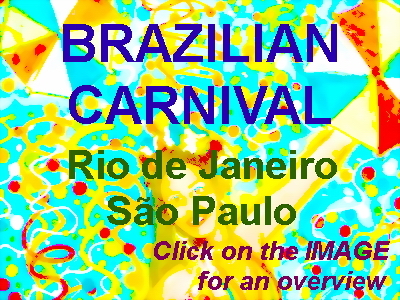 That is what Brazilians told me, and what I have read about. We were lucky that we experienced a week with very high temperatures, even higher than in Belo Horizonte, about 1300 km northward. In this respect, luck was on our side. 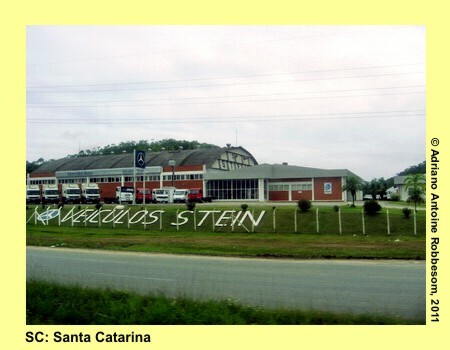 We only had entered Santa Catarine a little while, when I observed various billboards with German names on it. Names like Stein, Breitkopf, Hausmann, Fleischer, Schulz. Names of German and Austrian immigrants and their offspring born in Brazil. The majority of them may speak Portuguese and German, but there are small communities that live isolated from the Brazilian society, and have kept their native language. That sounds quite weird: in such communities you should help yourself with German or Italian instead of Portuguese.